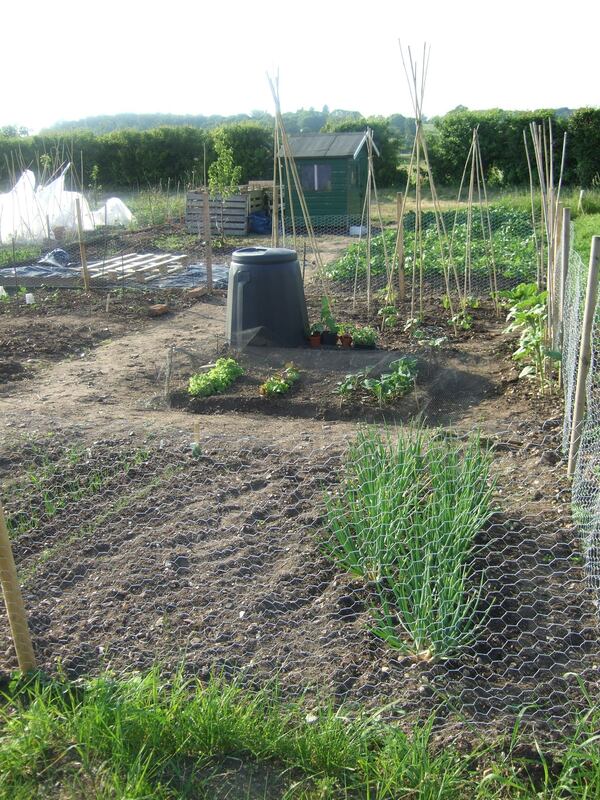 Towards the end of 2008, I applied for an allotment on the Cromwell Road site in Hertford. Such is the current demand for allotments that I found I was 29th on the list, and I thought it unlikely I would be an allotment holder in 2009. 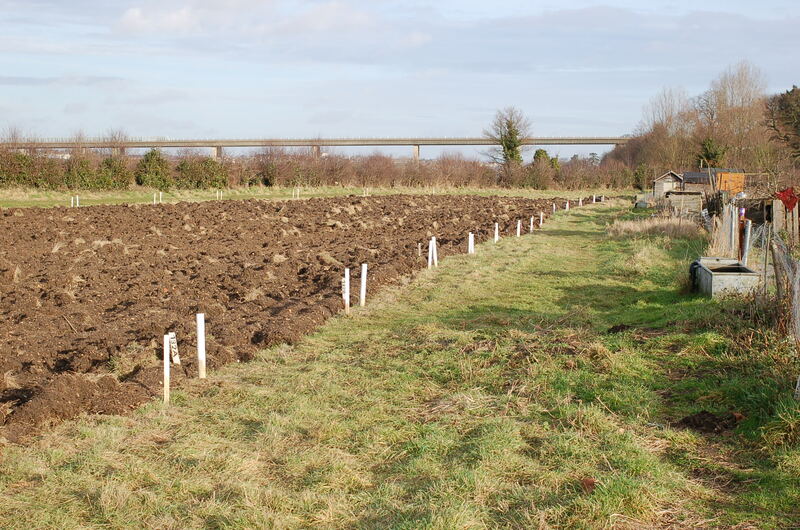 However, Hertford Town Council reinstated a number of allotments which had been left uncultivated for a number of years, and I took possession of one of those plots on 1st January 2009. 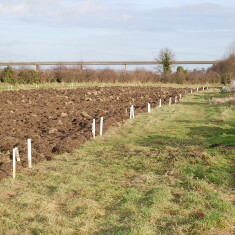 The site had been ploughed, and it took weeks of hard work to dig out the old grass and weeds. But now, in May 2009, the plot looks just a little bit like a real allotment, and we have eaten our first radishes and salad leaves. Looks good, well done. 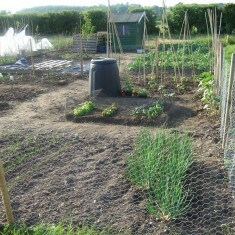 Have just put our names down for an allotment but are expecting a long wait.. exciting prospect.